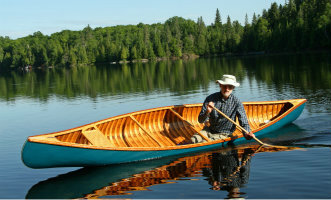 Getting some good quality canoe or kayak instruction if you have not paddled before has some significant advantages if you want to become a proficient paddler but it does depend on what you want to get out of your paddling. If the occasional rental and float on a nice summers day is what takes your fancy then maybe the rental route with or without any guiding or instruction is right for you. Whatever you choose please make sure you know enough to stay safe. Rental is not really an option in the UK except for beaches where you might be able to hire a SUP by the hour and the occasional centre or lake that offers rental. 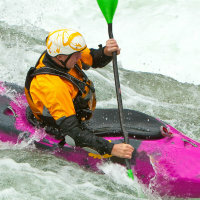 In the USA and Canada however rentals are available on a guided or non guided basis with some offering shuttle services so that you can start in one location and paddle to another location (usually downstream) where you and you kit will be able to get a lift back to your vehicle at the starting point. Rental companies should be operating in environments that will be safe taking into account the skill levels of the paddlers they rent to and the kit they rent out. If you are going to be occasional paddlers this may be a good option as it will save you buying and storing your own kit. If you want to try a few different types of boat it may also be a way of doing this before deciding what type of paddling you want to get involved with on a more regular basis. However, be aware that when renting you never get the same feel as you do in your own boat which you will chose to be just right for you. You will especially find that your own paddles (and probably buoyancy aid) bought and fitted to suit you will be far more comfortable to use and increase your enjoyment of the sport no end. Look out for season passes offering unlimited rental all season. Some of these sound like fantastic value for money. Know what to do if you capsize or fall in and practice. Be sure your kit is in good working order. Know where you are paddling and if unsure ask advice from someone who does. What are the dangers? The professional centre can be a great way to get started, give your skills a concentrated push to a higher level or provide an all in organised few days away. However, if you do all your paddling with these centres you either need very deep pockets or you won't get out paddling much as the costs will mount up. Joining a club after building some skills with a centre can be a good way to get into the sport. For some just being on the water and learning skills is enough. Others feel more confident having gained a certificate that endorses their level of skills and others need these certificates to progress or demonstrate their skills. The USA and UK have structured courses and qualifications delivered by qualified instructors. Be aware however that the levels are not equivalent. You may find these qualifications and courses being run outside their home countries. Following these courses should ensure that you pick up the skills to paddle safely and know your own limits. 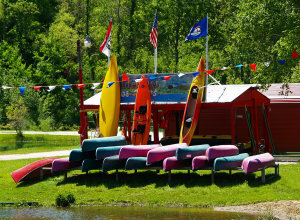 In the USA the American Canoe Association provides canoe and kayak instruction through a structure of courses that provide opportunities to learn skills (skills courses) and be assessed for the level of skill reached (skills assessment courses) plus certification and endorsement courses for instructors. The courses are run at different levels (1 to 5) and for different disciplines including canoeing, kayaking, stand up paddling boarding, rafting, safety and rescue and addaptive paddling (how to include those with disabilities). In the UK the British Canoe Union has a series of "star" awards for canoe and kayak instruction from 1 star to 5 star in each of a number of different paddling disciplines. 1 star and 2 star are the most frequent courses and levels taken with 1 star being the sort of award you might achieve after about a 6 session course and 2 start taking more practice. With a 2 star award you should be safe to paddle on your own in good conditions and to recognise when the conditions should lead you to be wary and seek further advice. 3 star and above are more specialist and advanced qualifications, the sort of thing you might aspire to show you have the skills to become an instructor yourself or paddle in more challenging conditions. In assessing the courses you are being offered or the experience of the instructors at a club it is useful to understand the qualifications they hold. Remember though that there are many very experienced paddlers who can teach you a lot who do not hold qualifications, however it is hard to quantify experience so you may have to work this out from the recommendations of others. 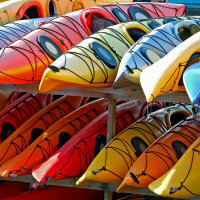 The American Canoe Association (ACA) trains and certifies instructors in the USA to a range of levels in a number of different types of paddling. In the UK the British Canoe Union (BCU) certifies instructors under a UKCC structure which has levels 1 to 5 with some differentiation between the various disciplines at levels 3 and upwards. Level 1 instructors are qualified as assistant coaches who can operate on very sheltered water introducing new paddlers to any aspect of the sport. Level 2 instructors form the main bulk of instructors still operating on reasonably sheltered water. A level 3 coach is a well qualified coach able to run a centre, advise a club, and with the knowledge to operate on the water suited to their qualification. Levels 4 and 5 are higher level qualifications more appropriate to those looking to paddle on challenging white water or on long coastal sea trips or at the highest levels of competitive sport. 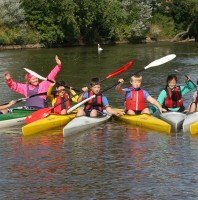 In the UK a lot of canoe and kayak instruction is delivered by clubs who run introductory courses (typically about 6 weeks or 6 sessions) at very low rates as a way to bring in new members. If you want to make friends and become involved in a community of like minded individuals who will pass on heaps of knowledge to you as you progress this is the route to go. You will never want for people to paddle with and can find yourself in a ready made support network for your canoeing and social scene. However, do remember that most clubs are run by volunteers on a shoestring, what they do will be based on their members enthusiams, so if you fancy some canoe surfing and they are all into wilderness trips you'd be best to try their wilderness trips first. Maybe when you have developed your skills you might be able to organise some surfing and get others involved. They will really appreciate it if you muck in and help whether it be by giving the changing rooms a good clean, making some cakes to sell at their next fun day or race or organising the monthly social gathering. The skills you can learn from being involved in a club full of experienced paddlers can far outweigh what you can learn in a couple of weekend courses.